As we near Apple’s iPhone launch next month, the iPhone 7s and iPhone 7s Plus have taken the iPhone 8’s place on the rumor mill. And it’s about time too. The latter is a regular feature, with a lot of details having surfaced already. The former pair haven’t been that active. All this will end up hurting Apple, if it does launch three smartphones this year. Today, we’ve got a detailed leak for the iPhone 7s Plus. Take a look below for more details. With Apple’s next launch event being only weeks away, factories are running at full power in China. It’s also that time of the year when the Chinese black market is in full swing. Apple’s smartphone parts are rumored to fetch as much as $5000, which is a lot for workers in Shenzhen. Recently, it’s PCBs and motherboards for the iPhone 7s, 7s Plus and 8 which are popular. Today, we’ve got another motherboard leak, this time for the iPhone 7s Plus. What makes this one different from the others is that it’s highly detailed. That is, not only do we get a look at the larger device’s internals, but the source is also courteous enough to label where the various assortment of component will fit. When compared to the iPhone 8, the iPhone 7s and iPhone 7s Plus will not feature a unique L-shaped motherboard. Rather, the internals for the pair will be rather simplistic. 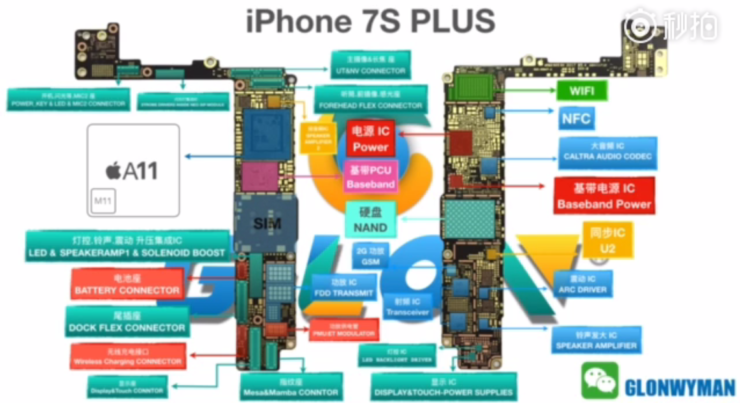 Still, it’s nice to know where all the components for the smartphone will go. As you can see above, most of the component placements are easily deductible via common sense. Placement for the A11, the SIM, NAND storage catch the eye at first glance. After that, it’s the NFC, Dock connector and the WiFi slot which are the most obvious. It’s interesting that the wireless charging connector is also visible here, as if the feature needed further confirmation. 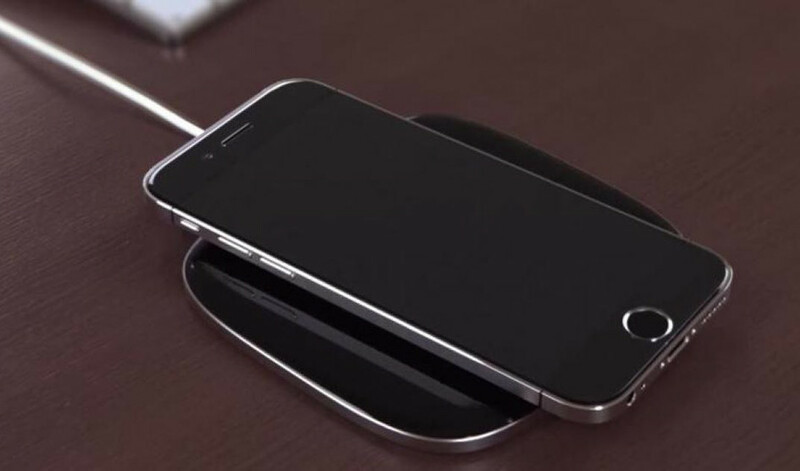 Owing to wireless charging, this year’s iPhone lineup will feature a big change. The feature’s introduction will necessitate the lineup’s biggest material change over the past couple of years. The iPhone 7s and iPhone 7s Plus will feature glass builds, reverting back partially to the iPhone 4 and 4s’ form factor. Glass will present Apple with a lot of ways to manipulate the iPhone’s design. If executed correctly, this aesthetic advantage will compensate for the iPhone 7s and iPhone 7s Plus being behind the iPhone 8 in terms of features and specifications. Thoughts? Let us know what you think in the comments section below and stay tuned. We’ll keep you updated on the latest.